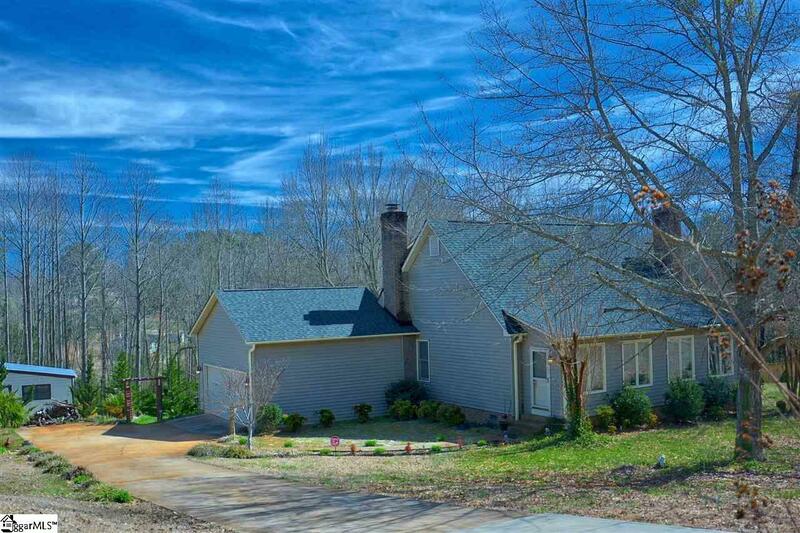 Welcome home to the perfect 3/2.5 country home (2232 sq ft.) with acreage, woods, beautiful stream and workshop. 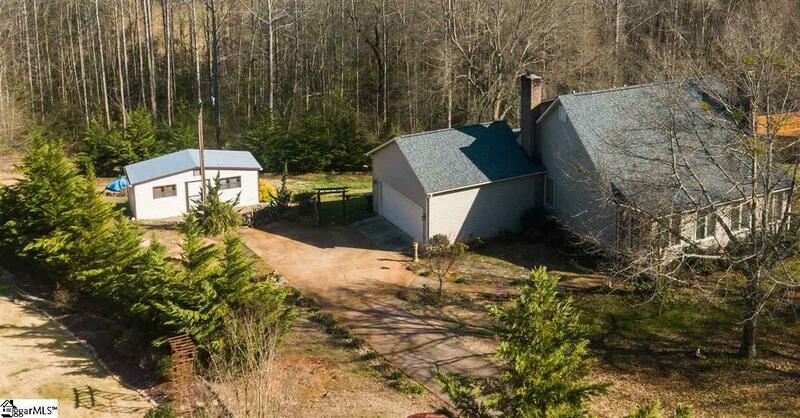 This is a rare find because it is minutes from Cherrydale, Wade Hampton and downtown Greenville. This is not a drive by, must see to appreciate all the features it has to offer. 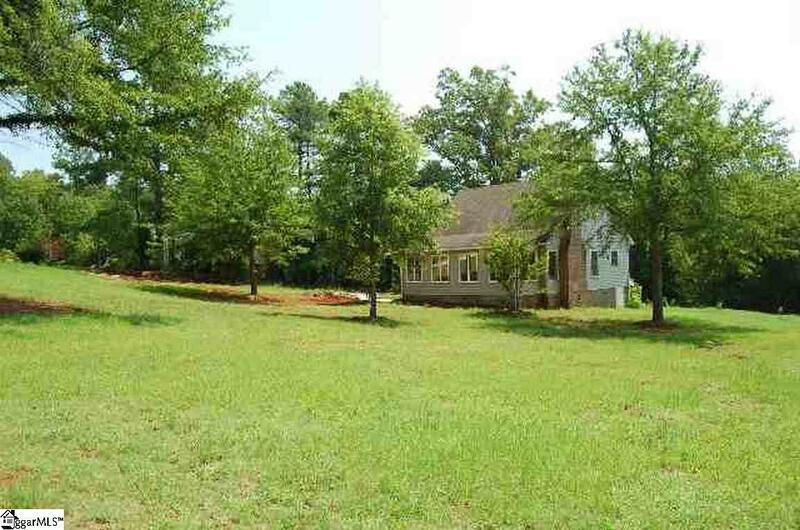 1.83 acres with large open space for play space/ gardening with wooded acre that is bordered by a year round stream. Lots of room to roam here. Enter the bright welcoming sunroom with beautiful hardwoods that is perfect for numerous uses such as office, playroom or just a great place to curl up with a good book. The living room has a vaulted ceiling with new gas fireplace, wood floors and dual ceiling fans. Kitchen has granite countertops, tile backsplash, bamboo floors and tons of cabinet space. An inviting dining room leads out to a huge deck with a great view of the massive yard and woods. A flex room off of the garage can be anything you need - so many options! The 2 car garage has tons of extra space for storage or workshop area, but that won't be necessary because there is a 21x12 workshop building with AC / electricity! Man Cave or She Shed is ready to go! The master bedroom is on main level, plenty of room with a wood burning fireplace for cozy evenings. Yes, that's right - A FIREPLACE IN THE BEDROOM! Also includes TWO closets, one is a large walk in. The master bath has separate area for toilet/shower and vanity. Half bath downstairs. 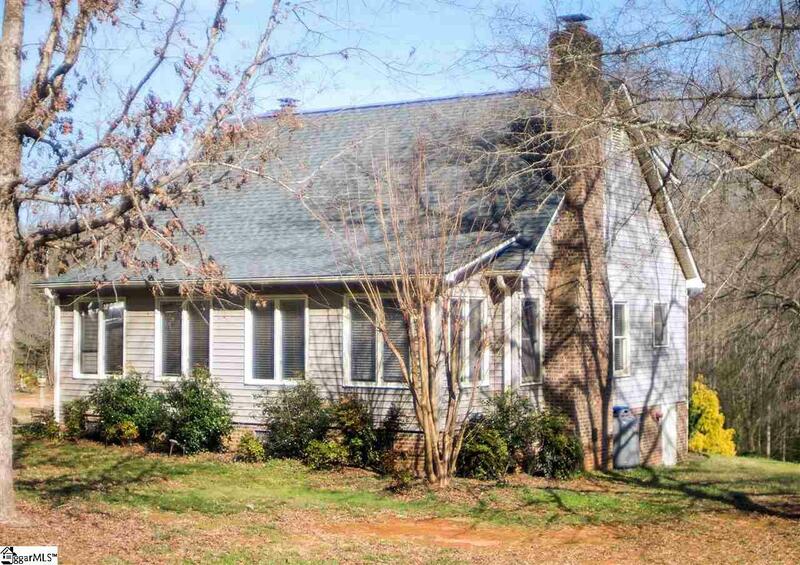 Upstairs are two good sized rooms, both with great views of woods/back yard and ample closet space. One bedroom has 2 closets with one of these closets holding a special surprise..a secret 13x7 room that holds a world of possibilities...or just lots of storage. Full bath located in hall between bedrooms. CPI Security System. The home had a new roof installed in 2017 and owner is offering a home warranty and termite bond transfer to the lucky buyer of this one! USDA ELIGIBLE Come see this one before it's gone! Listing provided courtesy of Vicki Hart of Exp Realty Llc.